Times, they are a-changin’ in Iran and I have noticed from this visit that gradually the traditional shops which I love so much are giving way to more modern retailers. On a more positive note and if you look closely however you will also notice that more than the local high street is changing. People’s attitudes and outward behaviour are changing and it is very noticeable to us after only a year away. It is more noticeable to me as probably the only westerner in the town and being fair-skinned I have always been the subject of many stares. There is no malice or rudeness just curiosity. But this time, there is something more. We experience an openness not seen before, a more relaxed feeling on the street with the women wearing their brightly coloured hijab further away from the hairline atop false hair pieces and daring to wear much tighter fitting manteaus. Men and women are now openly holding hands as they walk along the street and a number of inquisitive Iranians have stopped to talk to me as I walk along and in the restaurant/ tea house. 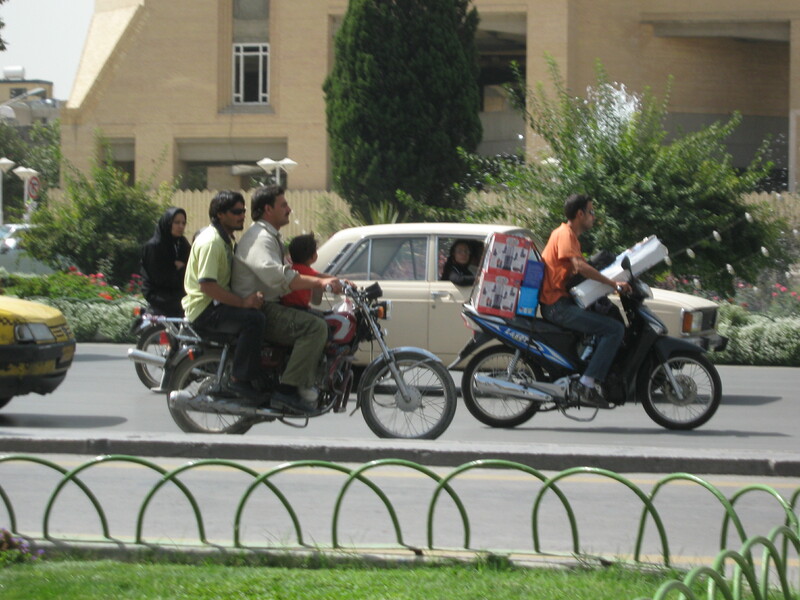 They want to know where I am from, what do I do and all welcome me to Iran/Esfahan. They love foreign visitors to their country and if I accepted their kind offers of tea I would be doing nothing else but visiting until we leave. I spoke to a young couple who stopped us in the Bazaar and found out that the husband works for the Iranian Inland Revenue. I explained that my first job was with HMRC and we laughed that as expected, Tax Inspectors are universally disliked. 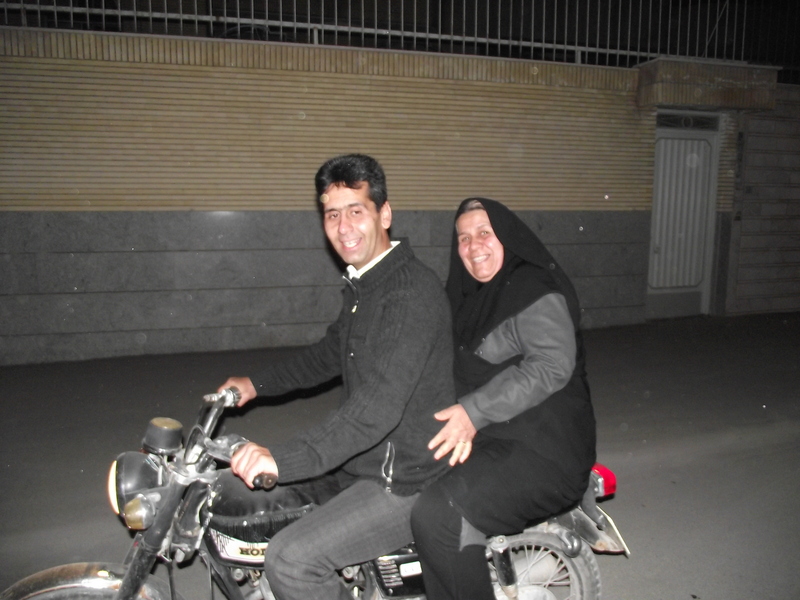 A woman with her two sons stopped me further down the street to welcome me to Iran. “It is very nice to see you here” she says as her eldest son keeps repeating “Hello, how are you?” He is learning English at school and determined to make the most of his opportunity to practise. A girl started a conversation whilst in the tea house and during lunch, a girl studying English at Esfahan University came over and asked if she could sit with us and and ask some questions which I gladly answered. Visiting the Fin Gardens in Kashan I was inundated with requests for photographs from a group of schoolgirls and one by one they stood with me as their friends took the photos. I was there for a good 20 minutes whilst they made sure that everyone had a photo of me on their phone but I got my own back when I asked to take a photo of their group and they were so excited to agree! This direct approach from strangers has never happened on previous visits although you could see that they wanted to. Something has changed so that people feel willing and able to open dialogue between us. This can only be good for everyone and I welcome it.